Each soul when they take the assignment to incarnate onto this plane, are assigned a team of fellow souls who shared the same frequency,vibrational resonance with each other. Each soul that incarnate is an individual expressions of source, which is gifted with their own purpose. Although individual, they carry a thread of light which is like a very fine cord, that connects each soul to their group or family (family of light), this links them all together. This thread means that regardless where they are on their journey either by way of dimensional time and space or if a soul from a particular soul group as returned to source, that thread still links them to their family. Many aspects are considered when grouping soul families, a couple of these aspects are things like maturity of the soul (this isn't viewed in a polarity way ie more mature is better, more so viewed how the individual soul can serve the whole), objective of incarnation, timeline interaction, as well as vibrational frequency. These aspects create a unified bond between each soul which is of multi dimensional nature . If like me, you are fortunate enough to be born into a situation along with members of your soul family, this truly helps you identify and connect with this bond very quickly, on the other hand if you are needing to attract your soul family to you,this identification of your bond can take a little more time and effort. However once connected, even to one other family member, you start to create a special signature frequency which is sent out to attract more of your family. I personal have felt very blessed that I am able to meet and link in with souls who I feel resonate strongly with me... and I often feel these meeting sometimes come in waves, ie I meet someone I resonate with, to then shortly after meet someone else who resonates the same. It's fascinating when you are aware of this and can observe it. 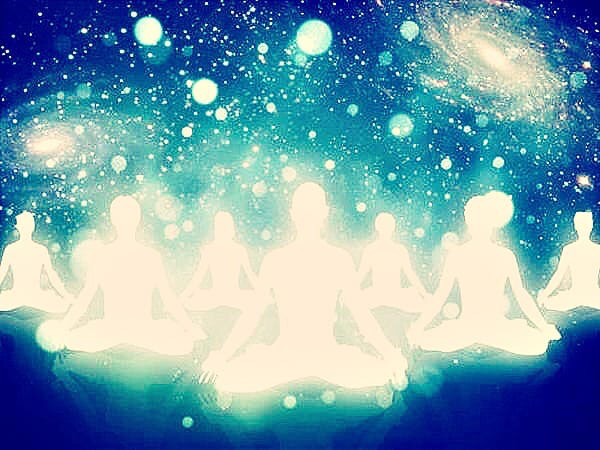 As soul family come together on this plane, a collective unified field is created and established for that group, and whether your remain in constant physical contact or not it doesn't matter, the connection is still there as strong as before. So with this awareness you can extend it out into your network of family and friends and feel into your energetic connection, do you feel that bond? That connection,? and then you can dig deep into the purpose of your connection, your soul family is here to serve your expansion and your journey of remembering.... For me my parents offered me the gifts of openness, connection and love... and for that I am truly blessed.